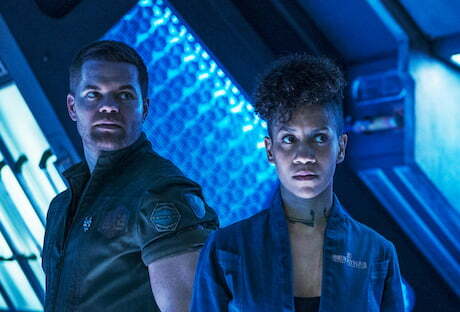 Amazon Prime Video will become the exclusive SVoD home to the first three seasons of sci-fi drama The Expanse, which the streamer revived after US cabler Syfy cancelled the show. The first three seasons will be available to Amazon subscribers in more than 200 countries from February 9 ahead of the fourth season, which will air later this year but is yet to have a premiere date announced. The show, based on eponymous novels by James S A Corey, is set hundreds of years in the future and follows humans as they colonise the solar system with The United Nations controlling Earth and an independent military power inhabiting Mars. The Expanse was co-created and written by Mark Fergus (Iron Man) and Hawk Otsby (Children of Men) and is produced by Alcon Television Group, with Naren Shankar (Grimm) attached as showrunner. Syfy debuted the show in 2015, ordering 36 episodes over three season but cancelled it in May last year when Amazon revived it with a fourth season commission.